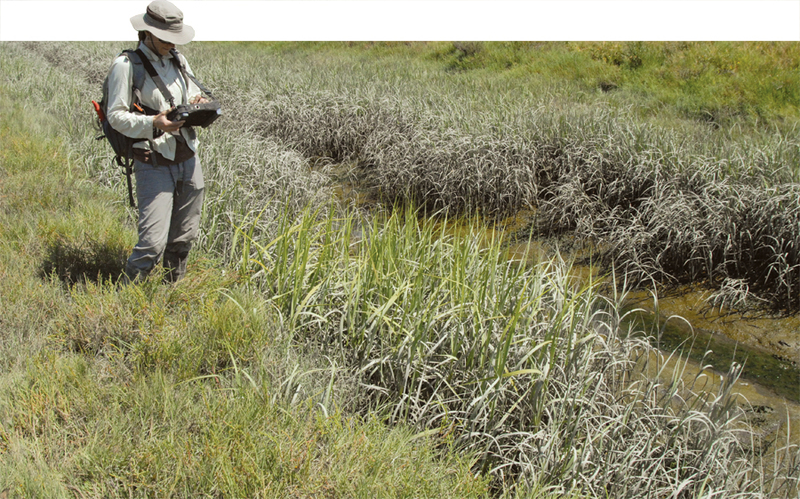 Before the “hybrid swarm,” as it is called, could irreversibly tip the balance of the salt marsh ecosystems, ISP began its tracking and eradication program. Herbicide is selectively sprayed to eliminate hybrids. Initially, it could be sprayed using helicopters, airboats, and tanker trucks with long hoses. Increasingly, backpack sprayers are required to reach isolated or remote stands. The herbicide is only effective during the May to November growing season. “From a project management point of view, bad data quality could result in unnecessary expense treating misidentified Spartina; inaccurate reporting of progress toward eradication; or just scientifically questionable data, which would cause a deterioration of trust in and support for the project,” said Peggy Olofson, the ISP project director. Data Reviewer will flag all entries with more than one patch. It will also tell Hogle if the patch data collected in the field is not where it should be, which could also be a sign of bad data. Without such a check, incorrect DNA data can enter the database and lead to treatment of desirable plants and missed treatment of the invasive plants. Moreover, it can also lead to misidentification in future years based on the incorrect data and could lead to inaccurate categorization of the hybrid’s site-specific characteristics. “We have had to throw out data when a field biologist makes a mistake in labeling by using the same sample code for two different samples, for example. And in the past, I spent many hours trying to unravel such mysteries,” Hogle said. The combined features of ArcPad and Data Reviewer have resolved that scenario, she explained.